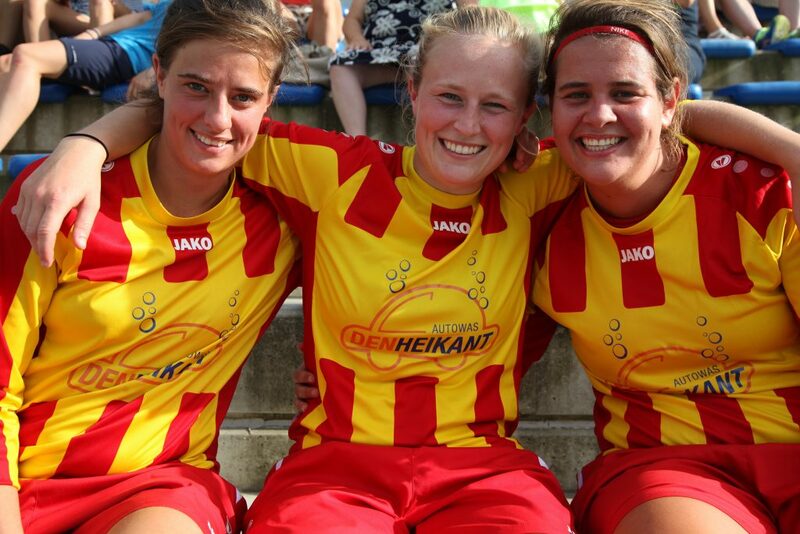 This is a photograph of me and two other Belgian football friends. It's the first year the three of us are playing in one team and it's really awesome. Our team is called K. Massenhoven VC. Dames but in fact TIGERS is a more appropriate name, because we never give up and always fight for each other.